The security systems provider swings to a quarterly loss, pushing shares sharply lower. A slower housing market and increased competition give us pause about buying the shares of ADT Inc.
Whall's extensive financial and operational experience will support rapid growth and expansion at Curbio Inc.
We continue to like Amazon as well as Costco Wholesale. ClaimsFiler, a FREE shareholder information service, reminds investors that they have only until July 20, 2018 to file lead plaintiff applications in a securities class action lawsuit against ADT, Inc.
Rosen Law Firm, a global investor rights law firm, reminds purchasers of the securities of ADT Inc.
Law Offices of Howard G. Smith announces that a class action lawsuit has been filed on behalf of investors that purchased or otherwise acquired the securities of ADT Inc. The securities litigation law firm of Brower Piven, A Professional Corporation, announces that a class action lawsuit has been commenced in the United States District Court for the Southern District of Florida on behalf of purchasers of ADT Inc.
ClaimsFiler, a FREE shareholder information service, reminds investors that they have until July 20, 2018 to file lead plaintiff applications in a securities class action lawsuit against ADT, Inc.
Pomerantz LLP announces that a class action lawsuit has been filed against ADT Inc.
Jim Cramer weighs in on Automatic Data Processing, ADT, Discovery Communications, Abiomed, L Brands and more. 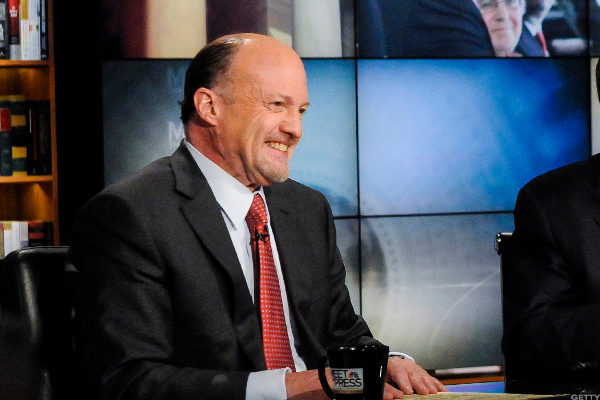 Markets look calm, but we're seeing some extraordinary breakouts, says Jim Cramer. The Schall Law Firm, a national shareholder rights litigation firm, announces that it is investigating claims on behalf of investors of ADT Inc.
Glancy Prongay & Murray LLP ("GPM") announces an investigation on behalf of ADT Inc.
Rosen Law Firm, a global investor rights law firm, announces the filing of a class action lawsuit on behalf of purchasers of the securities of ADT Inc.
Scott Scott Attorneys At Law LLP Announces Filing Of Securities Class Action Against ADT Inc.
Scott+Scott Attorneys at Law LLP ("Scott+Scott"), a national securities and consumer rights litigation firm, is notifying investors that a federal class action lawsuit has been filed against ADT Inc.
Holzer & Holzer, LLC announces that a class action lawsuit has been filed on behalf of investors who purchased ADT, Inc. The insurgent manager who helped engineer the Amazon-Whole Foods combination opened a window into his latest allocations, any of which could become campaigns. Here's a wrap up of his investments as well as new developments from Mick McGuire's Marcato Capital and Dan Loeb's Third Point.